4. 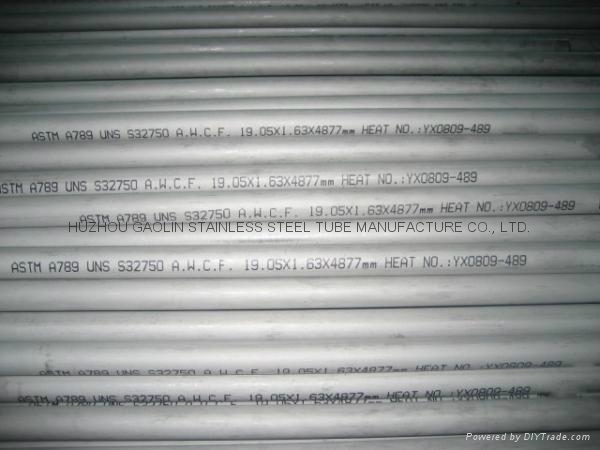 Material Grades: S32750/SAF2507, 1.4410, X2CrNiMoN25-7-4, etc. 04. Material: S32750/SAF2507, 1.4410, W. Nr. X2CrNiMoN25-7-4 with corresponding GB, ANSI, EN, JIS, BS & ISO material designations. 05. Specification: EN10216-5, EN10297-2, ASTM (ASME) A/SA789. a) O.D. : 1/2" to 4".